Photographer Paul Slattery stands in front of four prints from his July 1979 photoshoot of Joy Division in the streets surrounding Strawberry Recording Studios in Stockport. The prints were purchased by Stockport Museum as part of the Strawberry Studios: I Am in Love exhibition which was held during 2017 to mark the 50th anniversary of Strawberry's formation. 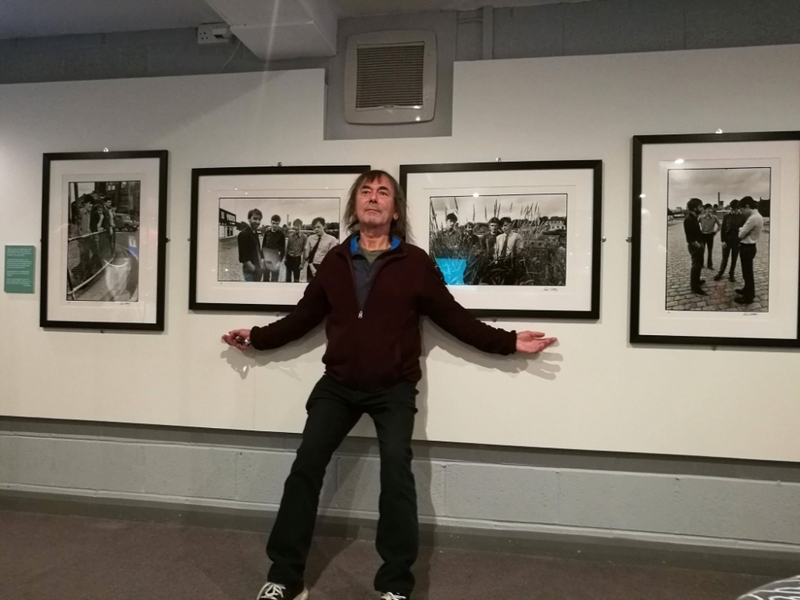 Paul visited Stockport in November 2017 to give a talk on his memories of the photoshoot and those of other Manchester bands he has captured over the years.